uv led technology blog is built by DPL Industri A/S Denmark. What is UV LED Technology? UV LED technology is studying how to use UV or LED light to dry printing ink or coating lacquer or banding adhesive. UV also called Ultraviolet, is kind of high-intensity light, which exist also in sunlight. But for dring purpose, it requests much higher intensity. The curing energy depends on what kind of ink or coating lacquer, for example, a typical UV lamp will provide 120mj/cm2 UV energy at 100m/min speed. Traditional drying oven uses electric source or gas or oil to heat up the air inside the oven. When film or paper pass through the oven, hot air will dry the ink or coating lacquer. How does UV LED Curing work? UV LED curing method use UV energy inside of light to dry the ink or lacquer. Because UV LED ink or lacquer use photosensitizer instead of the solvent-base or waterbased ingredient. The photosensitizer is not sensitive for all wavelength. For example, in most high-speed UV ink, people use photosensitizer at 285-410nm. Because high-speed UV lamp will provide high UV Peak energy and DOSIS energy, therefore UV light can dry ink even film or paper’s passing speed is over 300m/min. This will improve ink curing quality as well. But for LED Ink, the most photosensitizer is 385-395nm. The reason is both according to raw material cost and LED light. What is the advantage of UV LED Curing process? UV LED curing technology is more and more popular in the printing process of offset press or flexo-print press. The advantage of UV LED Curing process is increased production speed, reduce reject rates, improve scratch and solvent resistance and facilitate superior bonding. Here we discuss and share the development of UV LED technology for the different application. With Case study, we introduce different cases happened in real production and developing process. 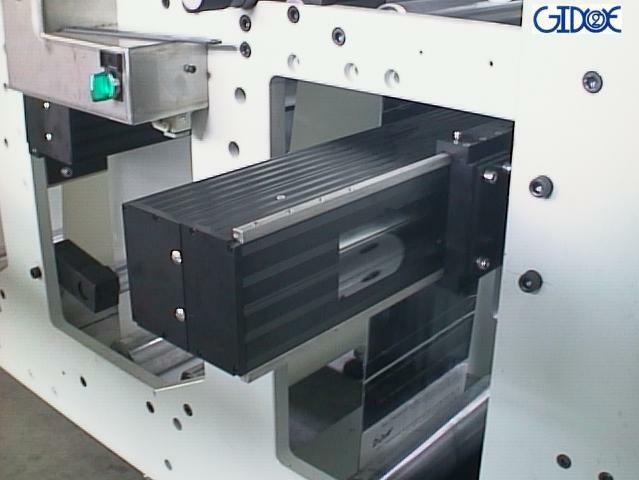 There are also problem solutions from those production case, such as improving production efficiency by using high-efficiency UV curing system. As one of the oldest UV LED curing system manufacturer in Europe, DPL always focuses on research and developing UV LED technology. In the past 30 years, DPL has not only to maintain the production of high-quality UV Curing System but also established a technical bond with our clients by sharing our experience. Everyone knows that we use UV LED technology for the flexible printing industry and coating industry. Compared with the traditional solvent-based ink and coating lacquer, UV LED curing process is more green and friendly for our earth. In this modern world, everything becomes smarter. More and more people are attached by wearable electric textile business. OLED TV becomes more and more popular in the world. Smart house and smart city become one part of our life. On the back of these, it is the development of UV LED technology- Printed electrics. Our experienced specialists are always ready to help our clients to solve their production challenges. We use our latest advances and experience in UV LED technology.